Hybrid dogs, often called designer dog breeds, are the results of controlled cross-breeding between two purebred dogs. It is believed that the term "designer dog" was made popular by the media after it was found that many celebrities showed interest in hybrid dogs. Hybrid dogs have become increasing popular in the last 10-20 years. Why is this? 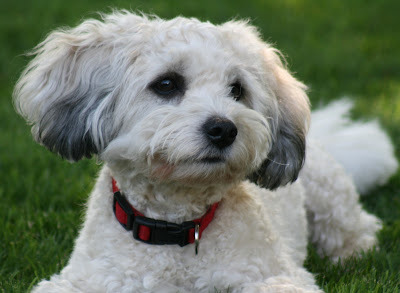 Perhaps the main reason people create hybrid dogs is to end up with a family friendly dog that is also hypoallergenic. 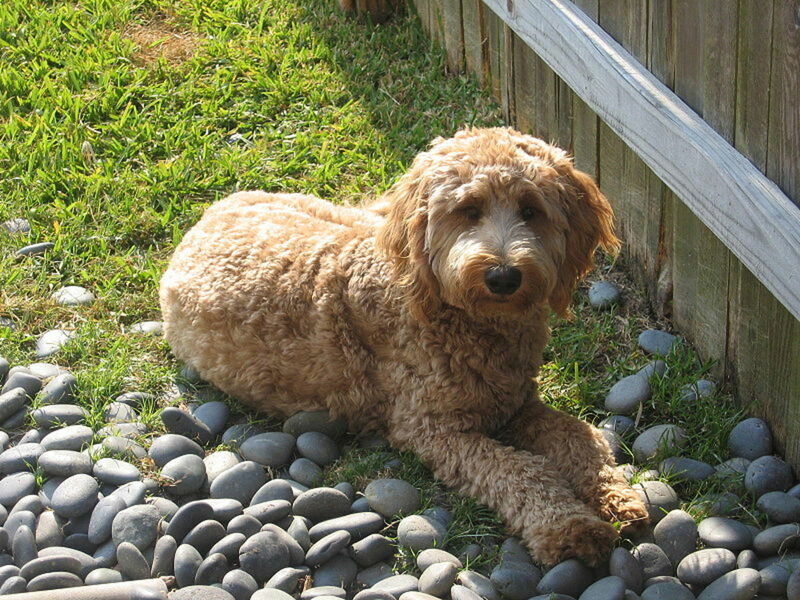 Case in point, the Labradoodle and Goldendoodle. Labrador Retrievers and Golden Retrievers are two of the most popular dog breeds in the US. They are fun-loving, happy, playful and active dogs that tend to get along exceptionally well with kids. People also like the way they look. But they shed like crazy. Poodles don't shed much at all and are usually great for those allergic to dogs. Despite the fact that Poodles are also great family dogs, people who want the Lab or Golden "look" and attitude might not want a Poodle. But crossing the two breeds might result in a low-shedding Lab or Golden. Perfect, right? Not necessarily. Another reason to create a hybrid is pure cuteness. 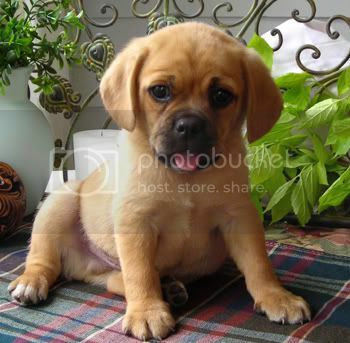 I do agree that some hybrids - like Puggles (Pug/Beagle crosses) - are unbelievably cute. However, so are most of the mystery mutts at the pound. I guess what I am trying to say is that I am not a fan of the hybrid dog trend. Crossing two breeds does not guarantee the offspring will take on the desired traits. Basically, breeding hybrid dogs is just deliberately creating more mixed-breed dogs. One might argue that this causes more mutts to end up unwanted and homeless. While I love mutts, I also think nature has provided us with a surplus (and by nature I mean many, many irresponsible dog owners). Designer dog?? What the heck is a designer dog, you ask?? A "designer" dog (as the media has labeled them) is a cross between two purebred dogs. A purebred dog is one that has been bred over many generations to breed true, meaning each puppy that is born looks and has the same temperament and characteristics as the others. In most cases a standard is written and breeders must follow this written standard. Only dogs that make the written standard are to be bred. 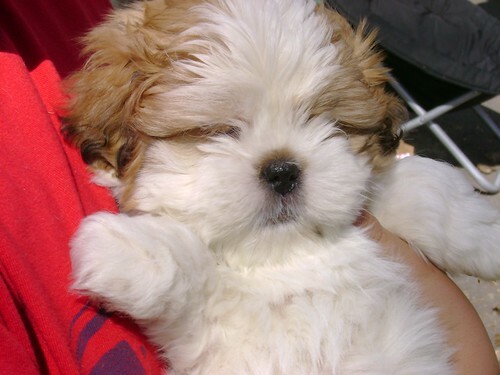 Purebred dogs are beneficial in that when you buy a purebred dog you know what you are getting. You know how big your puppy will grow and you know basically what type of care the dog will need. You know the dog’s limits, whether it is capable of agility, hunting, search and rescue, police work, herding, flock guarding, or just simply being a companion dog. You have a pretty good idea how much exercise the dog will require. When one breeds purebred dogs great care must be taken to ensure the lines do not become too thin. Even with all the best DNA testing available genetic problems can occur, however with the proper testing these problems can be greatly reduced. To give you a simple analogy, let's say there was a law passed that stated only people with red hair and green eyes with a high IQ could have children, with the end goal being everyone in the USA to be smart with red hair and green eyes. If this were to happen, as you can imagine, our gene pool would eventually become thin, and many genetic problems would occur. This is why it is very important to ask breeders of purebred dogs what types of genetic testing they perform. Designer Dogs On "Mornings With Kerri-Anne"